The volunteers from Manav Parivar was distributing food for the cancer patients in the hospital. Try to glance the people there. I’m here now with the group of young kids. I’m taking a shot that time while one oof the volunteer from Manav Parivar was giving a free dinner for the homeless family. They were given a ram-roti. After some picture shots of this kids, they were gladly talking to each other and very happy while eating. 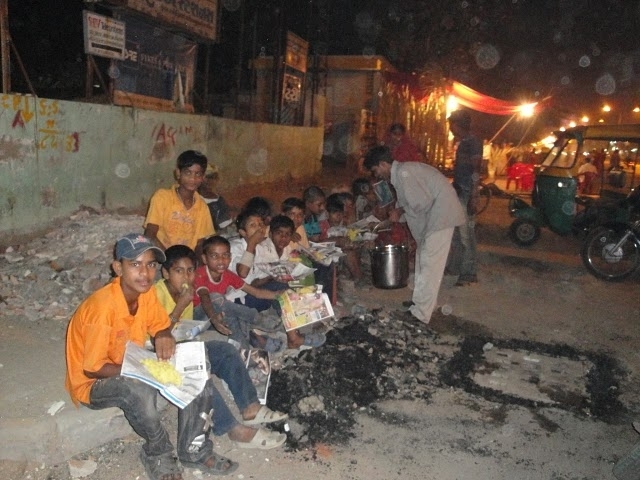 Happy Kids-Team of young boys having Ram-Roti with them, after given by a volunteer. Look at their faces how happy they are. 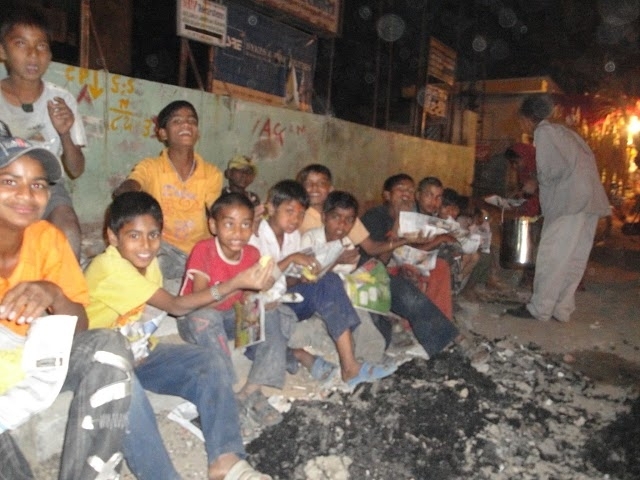 Happy Kids-Team of young boys having Ram-Roti with them. But they stop eating when they were taken the picture shots. While you can see a volunteer continue giving food to remaining kids. Look at their faces how happy they are. 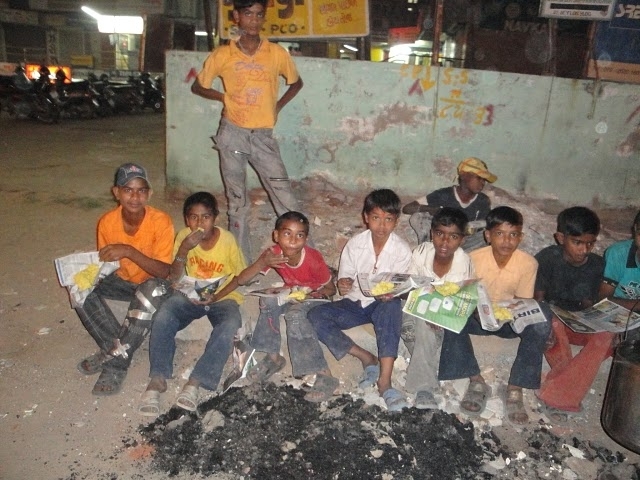 Happy Kids-Team of young boys having Ram-Roti with them. 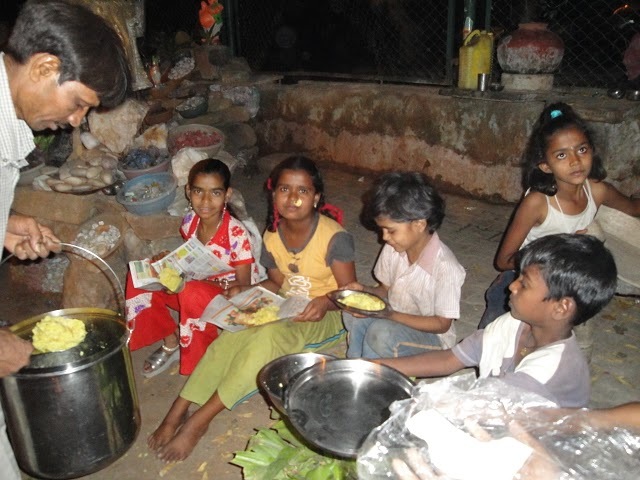 A volunteer giving food to remaining kids. Look at their faces how happy they are. Happy Kids with Free dinner know as Ram-Roti. 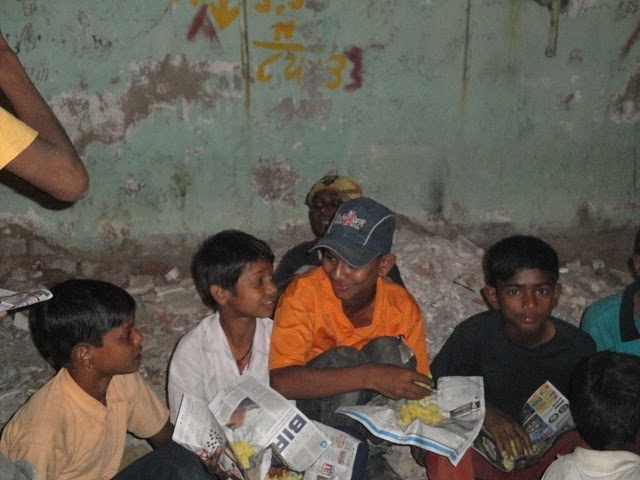 Ram-Roti was given to them by team of volunteers from Manav Parivar. LET’S HELP THEM . . . . THEY NEED US! We came to the area a little bit early from what the homeless family expected. That’s why when they say us, they smiled at us. When all the food was taken from the vehicle, the volunteers started to distribute them to the homeless people. This is one of the volunteer. He is Nathubhai. Whenever we distribute food he is always available. He was giving Ram-Roti to the people as part of their ram-roti distribution work for Manav Parivar. 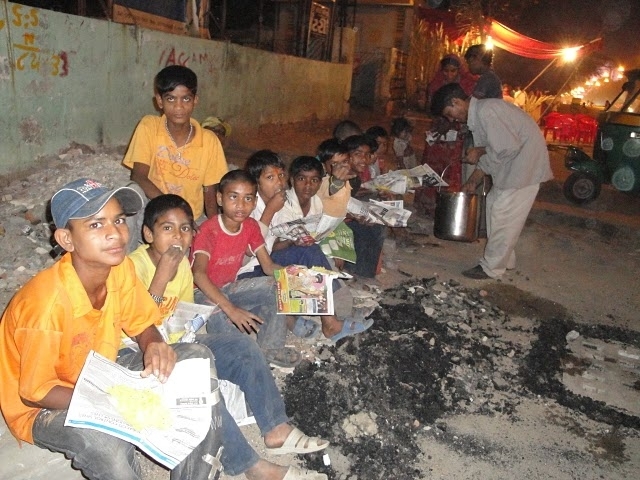 This was a group of young kids who were given a ram-roti for their dinner by Nathubhai. 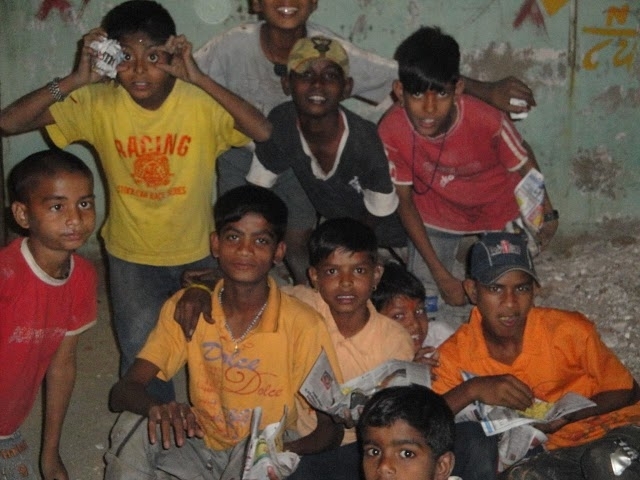 This kids were all street children, homeless one. They sleep on the sidewalk of the street. They consider the street their own house. 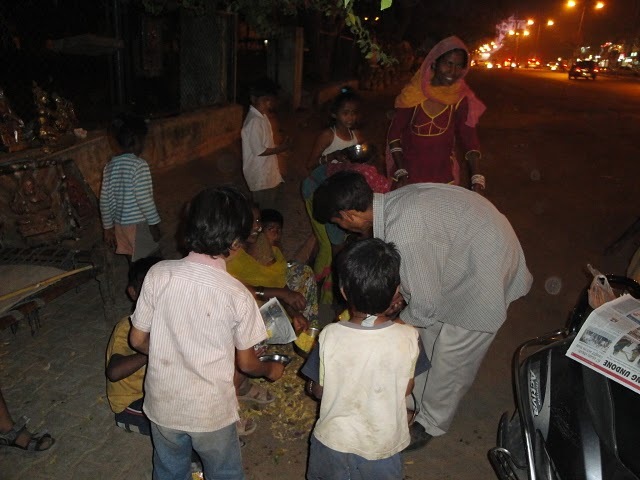 When we reached to this bunch of kids, they were just silently sitting on a side walk why Volunteer Nathubhai was giving ram-roti. All their faces shared their smile with us that’s why when I gave a shot, they looked at the camera. It’s always been a charity work for Manav Parivar this kind of help. They considered it as a responsibility to other unfortunate people. God made Manav Parivar as his instrument to give a helping hand to many. I wish for their endless work to provide a hand to others. 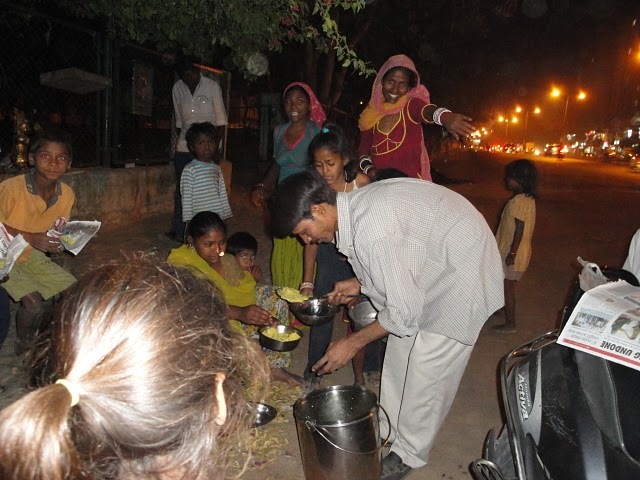 I join a team of volunteer who were distributing free food to the homeless people in Ahmadabad from manavparivar. They were having Khichadi with them. They found 3 kids on street and when they ask them “do you want to eat?” they were so happy that time. I think it was happiest moment to see those people smiling with the view of food for them. As it was outside and night time the picture was not clear but I still want to capture that in camera and I take following two pics. See the smile and happiness on the faces of these kids. I think this is best way to do charity. I am glad to do such nice activity as volunteer.